Here comes another year with new hope and opportunities. And, oh man what a year it was 2017 for e-commerce industry! But let’s not talk about what we came past but about what’s lying ahead. E-commerce market (actually the whole internet) is evolving very fast and as an ecommerce seller you need to adapt quickly to survive. In this article, we have discussed 5 things you need to focus on to be successful in the years ahead. One: You haven’t started working on you SEO yet. SEO takes time to build up and that’s why you should start as early as possible before your competitors make their moves. Start working on SEO now! Two: You are working on your SEO but haven’t got much success with it. 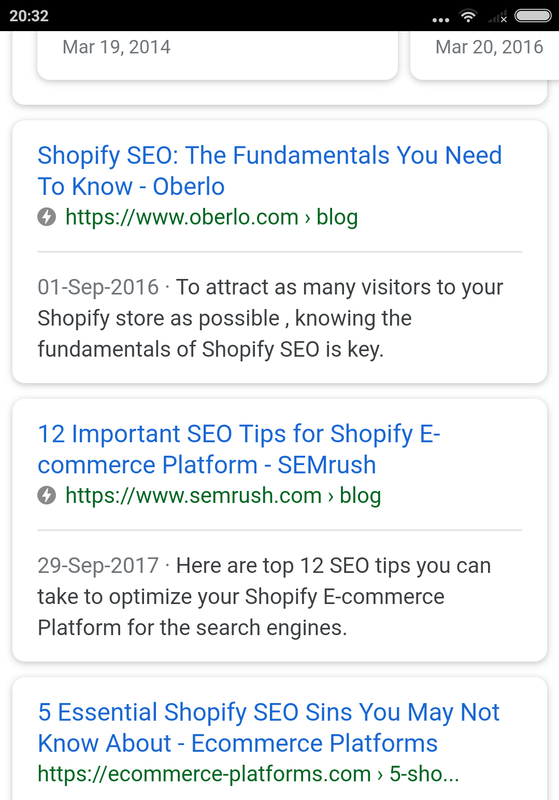 Here’s why yours Shopify SEO is not working and how to fix that. Google has recently announced it’s Mobile-First indexing policy which basically means Google will give higher priority to the pages which have better mobile experience. Here are few things you can do to improve your mobile experience. Optimize your meta tags for mobile devices. On mobile devices, the character limits for Google SERP is little different. Craft the Title tags and Meta description tags accordingly. Optimize the user experience of your store on mobile devices. We have discussed this later in this article. Everyone is doing SEO for their store and if you wish to stay ahead in the game, you need to have a content strategy aligned with your SEO goals. This is 2018 and if you are still optimizing your Shopify store for desktop, then you are in trouble my friend. Check your audience data in Google Analytics and you may be surprised to find out that more than 50% of your traffic is on mobile devices. When we talk about mobile experience, you may think that your Shopify theme is responsive so you have got it covered. In fact, responsive themes just make the pages viewable on mobile but there are a lot more you can and you should do to improve the mobile experience of your Shopify store. i) Check all the important pages of your store on mobile devices (mobiles of ipads) and point out the things you can improve. Take help from Shopify experts to optimize these things. ii) When you add any new element (like a pop-up) on the frontend of your store, make sure that the elements look good on mobile as well. iii) Make sure that all the emails you send to your customers, looks great on mobile. Personalization has come a long way. What was once simply a customer’s name in an email has now become a powerful tool for boosting customer loyalty and engagement. Personalization does not remain a luxury for your store anymore, it has become a necessity as your customer expects it from you. 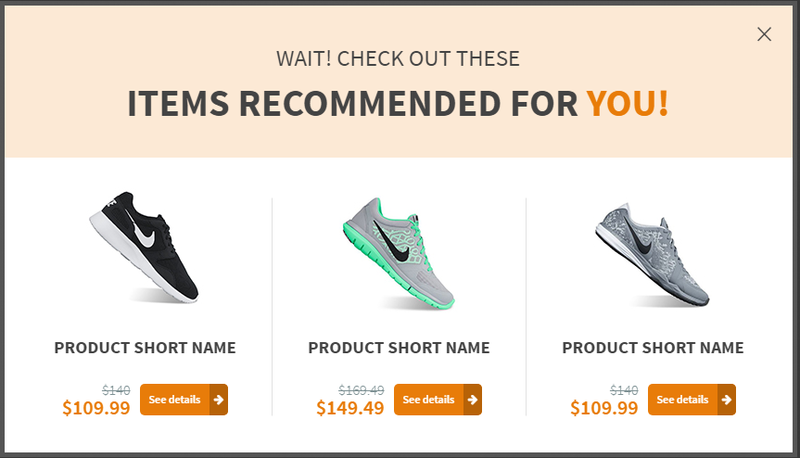 i) Use behavior-based product recommendation in your store. There are plenty of Shopify apps to do that. iii) Send automated action based personalized emails. Use purchasing behaviour based segmentation to send personalized emails. Do you know what’s the average attention span of us on the internet? It’s less than 7 seconds! That means once a shopper comes to your store, you get less than 7 seconds to impress him and turn him into a future customer. Now, to grab the attention, there’s no match for interactive tools. The use of chatbots is on the rise and we love using it as long as it helps us. For your Shopify store there some great chatbot apps which you can use to create an interactive shopping experience for your visitors. 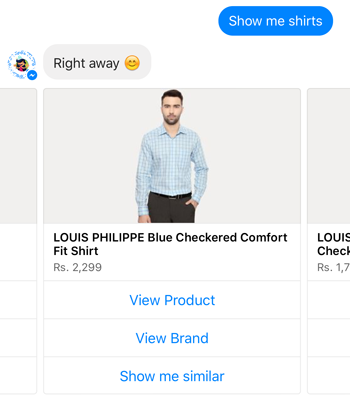 Here’s some inspiration from successful brands using chatbots to create interactive shopping. ii)** Use interactive offers:** Don’t just give away your coupons in your store. Let your visitors take some action to get the coupon code. It can just be the submitting their email or a gamified coupon offering. iii) Get feedback, create interesting polls and surveys to grab the attention of your audience. Acquiring new customers is ultimately more costly than retaining existing customers and this is why you need to focus on creating an ultimate customer retention strategy. If you paid a lot of money to acquire customers (through advertising, social media marketing, affiliate program) and then you lose them, then all of that effort was for nothing. According to the Harvard Business School increasing customer retention rates by just 5 percent can increase your revenue by between 25 and 95 percent. If your retention rate is low it should become your immediate priority. i) Use loyalty and reward programmes. ii) Delight your customers with your service. iii) Use content to stay top of your customer’s mind. iv) Retarget your customers on social media and via personalized emails.